We're mixing serene angels with rebel cowgirls this spring, and we think the white lace prairie dress looks super hot with on-trend black leather pointy cowgirl boots, witchy style! Complete the look with a floppy festival hat and a badass biker jacket and you know this will be your best band-watching outfit for the warmer (we hope!) weather. From the boudoir to the ball, this summer we're styling lacy delicates with party accessories and showing them off! Our pink lace flapper has all the dreamy bed-time glamour, but with a party dress twist. 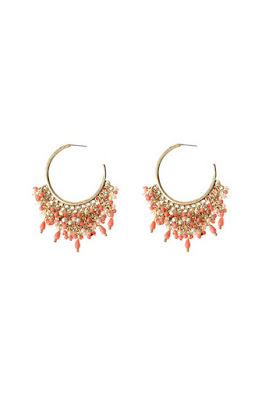 Finished off with coral hoop earrings and some summery sandals, this look will take you from bedroom to boho in no time! Our style steal this week is the oh-so-retro Zooey Deschanel. We're in love with her whimsical looks on the set of New Girl and those tea dresses are to die for! She's the absolute queen of the cardigan, layering spots and stripes and mixing delightful geek chic vintage and modern style perfectly. 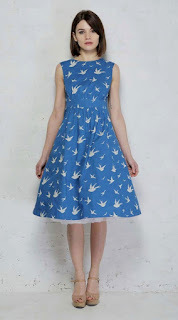 Go nautical like Zooey in our Polka Dot Prom Dress, for full on fifties swing! Complete the look with the cute Tatty Devine Anchor Brooch or Red Swallow Earrings and cinch in that waist with our Big Bow Red Belt. Why not finish with our dainty Numph Gloria Gloves in black and marvel at your brand spanking new kitsch wardrobe additions! 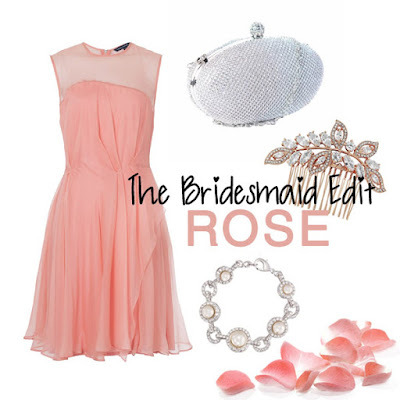 It's #WeddingWednesday and we've put together our current fave bridesmaid outfit! 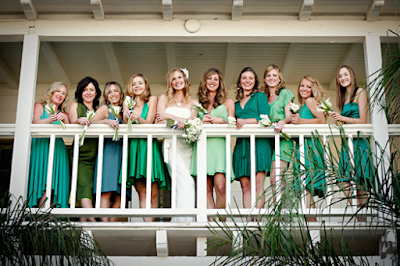 Look at those beautiful rose tones, what bridal party wouldn't look sweet in pink? The Rose Tan French Connection Sunray Dress is cool in chiffon and swirly enough for a good dance later on. Teamed up with the glitzy Silver Evening Clutch and gorgeous Ivory Pearl Bracelet your leading ladies are good to go. Complete the look and bring together those floral hues with our exquisite Rose Gold Hair Comb. We adore this edit so much, we can't wait for our first wedding of the summer! Don't let those dark clouds get you down...style it out! You probably mourned the loss of a whole range of umbrellas lately, even that pretty polka dot one you were convinced would totally stand up to those gale force winds. We're sad about this too. Don't worry though, you might not know it yet, but this grey weather is a stormy style opportunity! Embrace those subtle greys and dark hues, those moody blues and mystic purples with our new Dark Clouds trend. From soft grey clutch bags to midnight black brooches, we've got it all! Keep your hands warm in our elegant wool gloves with faux leather button detail, team up with a weather-friendly scarf and embrace those April showers! 1. How to wear your makeup, sixties style. Dating in the 1940s. So...things have changed a bit since then! glamour, poise and charm of a fashionable girl from the 1940s! If you’re the girl that once walked from the train station to work with your skirt tucked in your tights, blissfully unaware of your mistake, we know you’ll be just as excited as us about the return of our fave dear diary! Bridget Jones is made up of a little bit of us all, making our way through life with smudged mascara, broken heels and cringeworthy flashbacks. She makes it all OK. This is why we’re super happy she’s back! So pop your onesie on (it’s totally okay if it’s reindeer print – yes we know Christmas was ages ago! ), grab that tub of ice cream and let’s have a good look back at the lady we love just as she is, and the life lessons she taught us. 1. Christmas jumpers are kinda cool. Yes, that itchy number your Nana knitted you circa December 1993, just shows how you can absolutely let yourself go and embrace the holiday spirit! Don’t be such a killjoy! That guy dressed in jingling tinsel fuzz might just be the love of your life. 2. It’s actually great to be single! 3. Being set up by a family member might be a good thing. 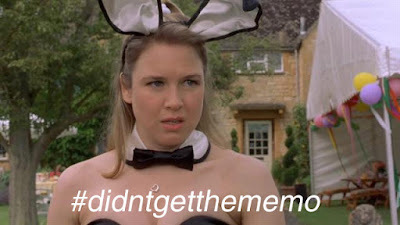 Mark Darcy happens to like Bridget just as she is which means that Pam definitely chose a good match there. 4. Always re-check the theme of the costume party. Turning up dressed full on catwoman to an elegant masked ball is not the best start to a great night out. Yes...we're talking from experience. 5. Everyone has imperfections. You’re totally cool, big pants, and all of it. Go on, look at yourself. You're amazing. Just as you are. We know some of you love your girls to be all matchy-matchy, but if your dreams are made of rainbows, why not try different colours together? You can vary by style and even by fabric. You could even try different styles, same colour. This makes it super easy to cater for all your girls, by letting them wear a dress to suit their shape! Pink your thing? Our dusky tones make the perfect colour coordinates! Does a theme take your fancy? We've got all the bridesmaid dresses you need, from 1920s flapper styles to 1960s go-go girl. If you don’t feel at one with an era…why not follow one of the hottest trends of the season and mix your spots and stripes, patterns and prints? 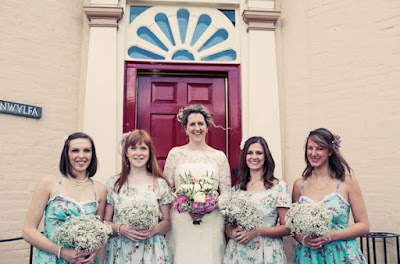 Try mixing and matching our vintage style prints for a wedding as unique as the dresses themselves! 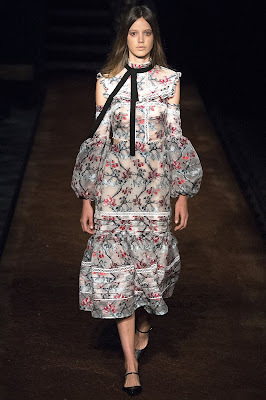 Not a fan of pattern fusion, why not flaunt some florals? 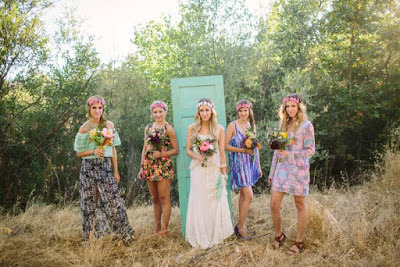 Our floral dresses are bound to make your gals feel fabulous! If the bridal gown search has left you panic stricken then why not leave the creativity to your leading ladies and let them choose their own dresses? Decide on your theme, colour or pattern and send them on a treasure hunt treat…sorted. 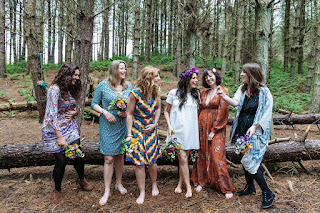 That once reluctant bridesmaid is now totally buzzing in her new fancy frock she found herself! 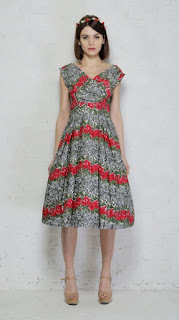 Rock My Vintage is an on-line boutique selling vintage original and inspired dresses and accessories.